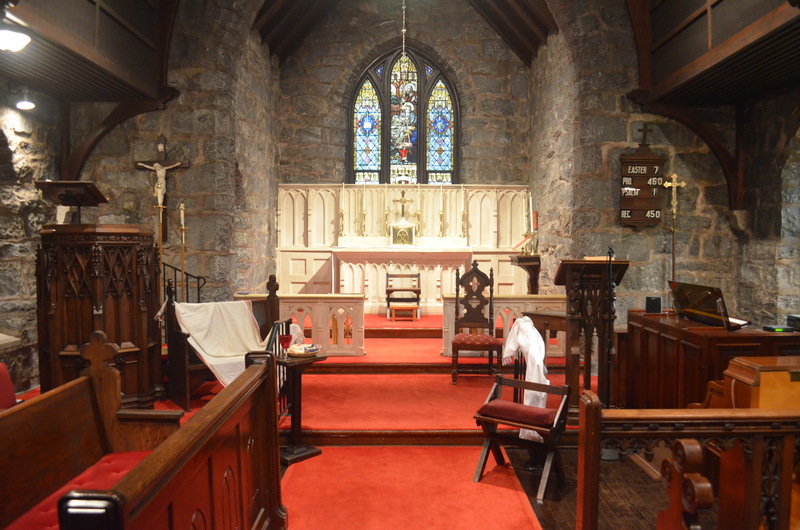 I am now in Rutherfordton, North Carolina where I performed at St. Francis Episcopal Church last night for a particularly engaged and appreciative (and quite large) gathering of people, a number of whom are doing EFM (Education for Ministry). 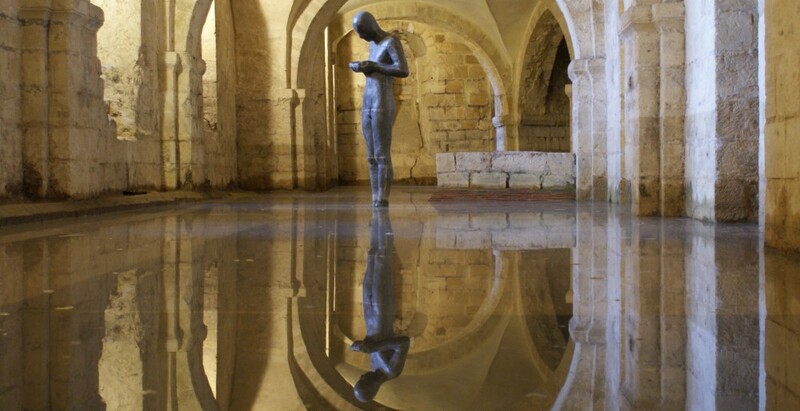 There have been a number of EFM groups attend in various places I have been to, and they always seem to be particularly clued in, perhaps because they have already studied Mark’s Gospel in some depth. 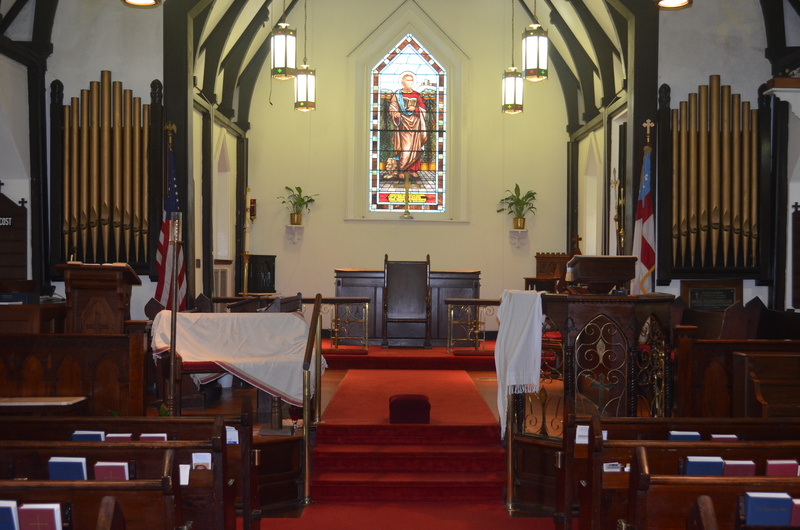 St Francis Episcopal Church in Rutherfordton, NC. Note the similarity of the lychgate with that of St. Francis-in-the-Wood. 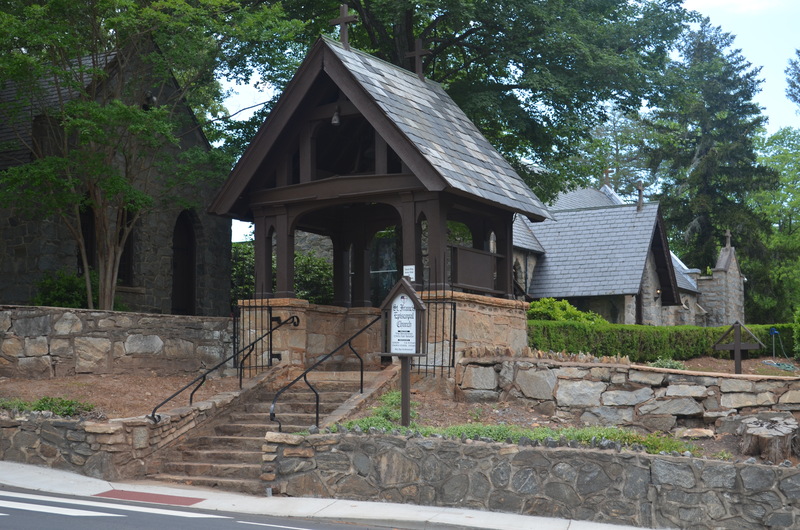 Perhaps it was because this church is also dedicated to St. Francis of Assisi that there seemed to be a particular sense of identification and connection – from St. Francis-in-the-Wood to St. Francis Episcopal Church in Rutherfordton. Perhaps. Certainly the lychgate seemed familiar! 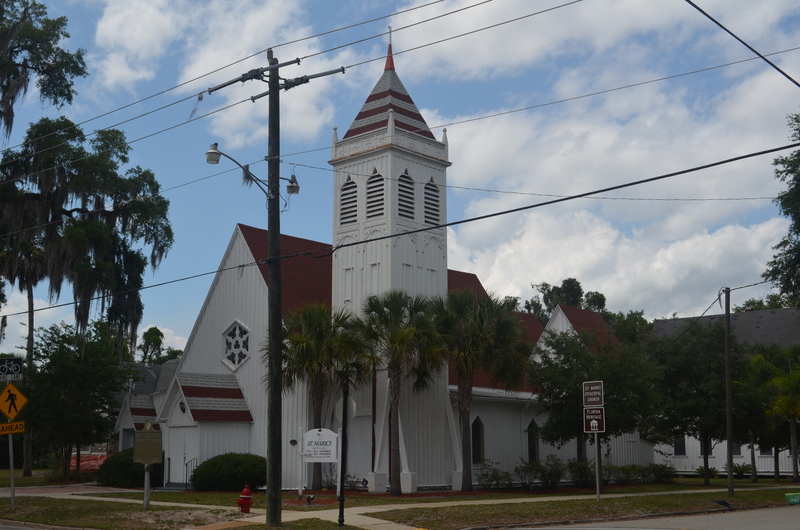 There was a relatively restricted space at St. Francis, Rutherfordton, as compared with St. Luke’s, Prescott, AZ or Church of the Resurrection in Longwood, FL or St. Luke’s Cathedral in Orlando, but even more so at St. Mark’s, Palatka – hence “Pilate’s seat” placed in the middle in St. Mark’s and doubling as the place of crucifixion which, in a way, it was as it was from there that the tragic sentence was handed down. 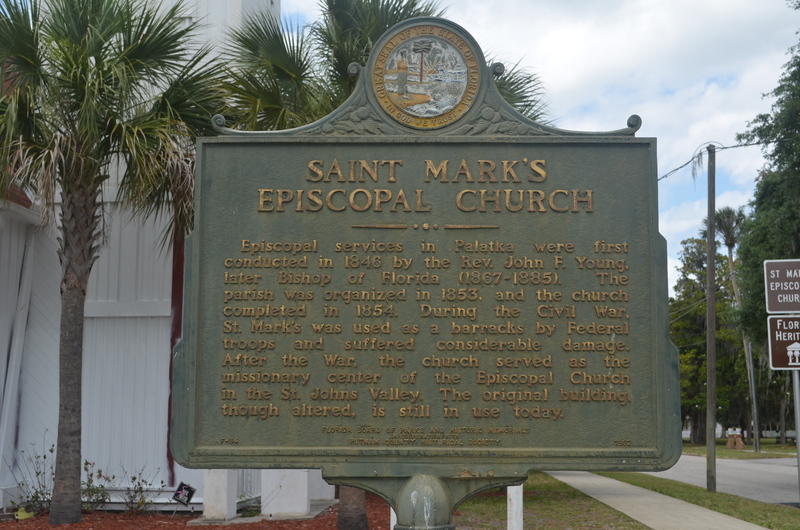 And here’s a shot of the outside of St. Mark’s, note the palm trees!